First, let's introduce you to Dubai. There are a lot of people confused with Dubai as a country or as the capital of the UAE. Neither of it is true. Dubai is the largest city in the United Arab Emirates (UAE). And Abu Dhabi is the capital of the UAE. Winter (November to March) is the ideal time to explore Dubai when temperatures are in the low 30°Cs. Forget taxis and go for the Metro/Bus instead. Buy a Nol card and top it up (www.nol.ae). Click Dubai Metro Guide to know more about Dubai transport services. 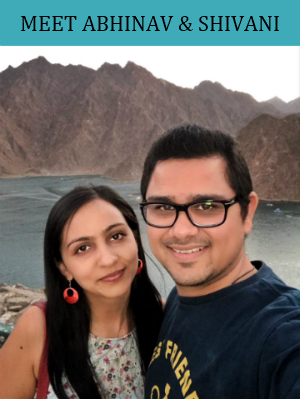 But there's no better way to see Dubai than on a double-decker, hop-on-hop-off Big Bus where you can enjoy the panoramic views of Dubai including the top sightseeing like Burj Khalifa, Dubai Creek, Jumeirah Beach Park and more. Head to the Creek to shop like it was 100 years ago in the traditional souks. Buy gold, souvenirs, or spices such as saffron and cinnamon on the Deira side, while over on the Bur Dubai bank, snap up Pashminas and Arabian style slippers. Don't forget to bargain hard. Take an Abra (a small Arabic boat) to get across the Creek for Dhs1 (per person). 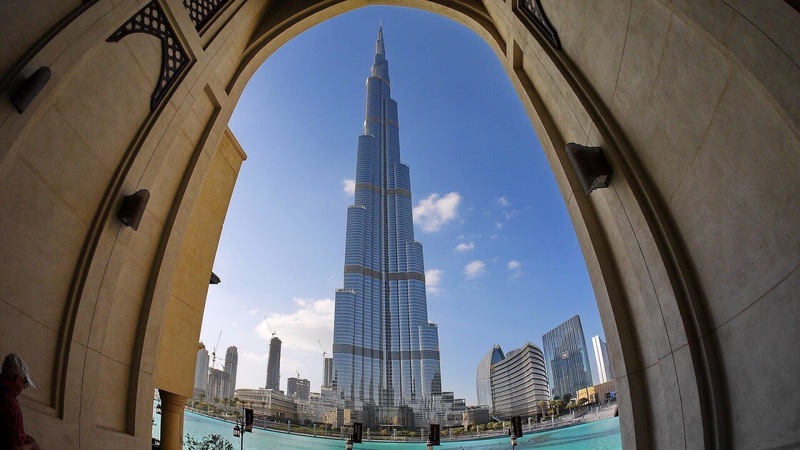 Burj Khalifa is one of the Dubai's main attractions and the world’s tallest building. It is advisable to book your tickets in advance to ensure you get the best time. 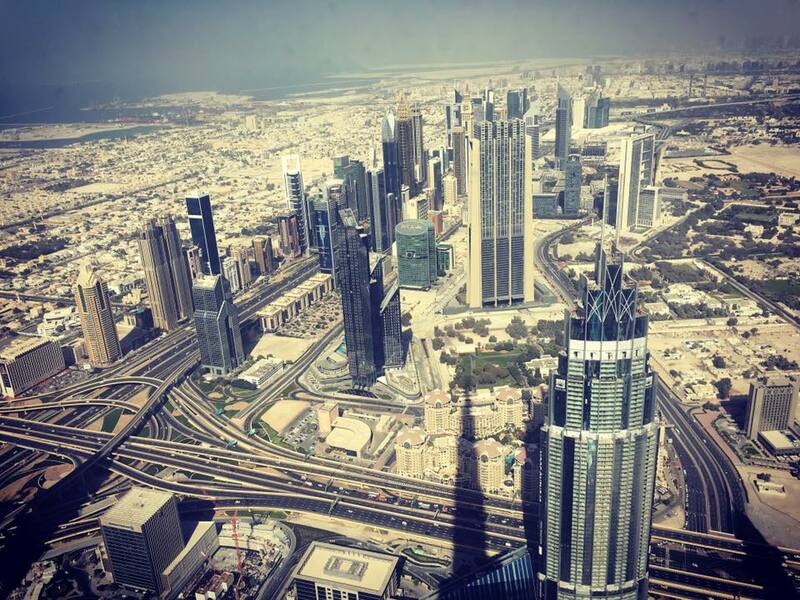 You will reach At The Top of Burj Khalifa (124th & 125th floor) from the ground floor in around a minute. Thanks to one of the world’s fastest elevators in Burj Khalifa that runs with a speed of 10 meters per second. The Dubai Mall is one of the world's largest shopping malls. Also, the most visited shopping and entertainment destination. Don't forget to visit the world’s largest sweet shop, "Candylicious" inside the Dubai Mall. The aquarium, located in The Dubai Mall, showcases more than 300 species of marine animals, including sharks and rays. The Aquarium is one of the largest indoor aquariums in the world. Visit The Aquarium & Underwater Zoo and experience the wonders of fascinating insight into the world's most mysterious marine life. Experience the Dubai Fountain's daily performances, a dance show of water reaching up to 140 m high, accompanied by syncing lights and music. This dancing fountain show is located outside The Dubai Mall. Burj Al Arab is one of the most luxurious, and 3rd tallest hotel in the world. It is the only hotel in the world that is said to have seven stars. The hotel's distinctive sail-shaped silhouette is recognized as the symbol of Dubai. The Mall of the Emirates is Dubai’s second largest shopping complex after The Dubai Mall. Apart from shopping, the mall also offers Ski Dubai (the first indoor ski slope in the region), multi-screen VOX Cinemas, Magic Planet arcade, and family entertainment center, Peekaboo play area and the Dubai Community Theatre & Art Centre. Each year from October to April, you can visit the ever-popular Global Village. Global Village features 32 pavilions representing more than 75 countries offering visitors a true international shopping and dining experience. You can also enjoy the live shows, attractive fireworks and roadshows in Global Village. International stars perform every Friday there. The Fantasy Island Funfair offers rides for both children and adults. Go dune-bashing, try your hand at sand-skiing or quad-biking & camel riding, then settle down over a shisha to enjoy the traditional belly dancing. Palm Jumeirah is the world's largest man-made island located on the coast of Dubai. It looks like a stylish palm tree from above. The Palm's famous landmark is the colossal Atlantis The Palm resort, with its water park, private beach, and Dolphin Bay. You can enjoy the Palm view from the sea in a yacht or hop aboard the Palm Monorail that runs to the Atlantis resort on the Palm’s outer crescent. Miracle Garden is the world’s largest natural flower garden. Its main attraction is an extremely beautiful flower wall of the 1km circumference that has made the garden into the list of candidates competing for a Guinness Record for the longest flower wall in the world. Dubai Garden Glow is a family entertainment destination with a first unique Glow Theme Park in the Middle East. Dubai Garden Glow offers 2 theme parks in one location. Dubai Garden Glow features hundreds of sparkling displays created by artists from around the world using millions of colorful lights. Dubai Garden Glow also features the biggest dinosaur park. The inspiring & 100 life-size animatronic dinosaur models are fenced-in, in true Jurassic Park style. Unbeatable introduction to the city’s history and traditional culture, housed in the quaint old Al Fahidi Fort. Dubai Water Canal is shaping into one of the most attractive tourist spots. Enjoy a walk along the canal with family and friends. It’s a lovely and peaceful beach with views of the Burj Al Arab and Burj Khalifa as well. Enjoy the activities from kite surfing and paddle boarding to running along the 14 km green cushioned running track. JBR Beach is one of the Dubai's most popular spots and quite the crowded one. The beach park is an ideal picnic spot for families with desert garden, children’s playground, cafes, barbecue areas, lifeguard service and sports facilities. Beach is massive and beautiful making it one of the most desirable beaches to visit. It is very popular with tourists and residents. It has 5 beaches in coves around the coast of the park. Discover the best in Dubai and enjoy your trip to the fullest. Very well written. I was confused for my next holiday trip but after reading your article I am sure now Dubai will be my next destination. Thanks writer for sharing useful information with us. Keep updating on other places of the world as well. Thanks Charul! Please subscribe to our blog for further upcoming posts.